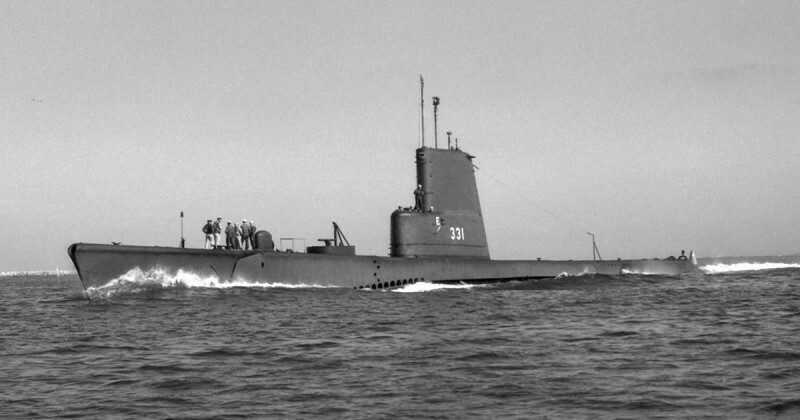 The USS Bugara (SS-331) was a Balao-class submarine built for the U.S. Navy by the Electric Boat Co., Groton, Connecticut. She was launched 2 July 1944 and commissioned on 15 November of the same year. After serving in WWII, Bugara participated in regular tours and training activities throughout the 1950’s and 60’s. She was a very active boat during this period making 7000 dives by 1969. Bugara was decommissioned and mothballed in the reserve fleet at Mare Island, California, in May 1970. No longer suited for useful service, Bugara was classified as a target ship for weapons testing. On 1 June 1971 Ex-USS Bugara was being towed to Bangor Naval Ammunition Depot in Washington when the tow boat crew noticed she was taking on water and slowing progress. With her stern flooded, Bugara reeled up with her bow perpendicular to the water. 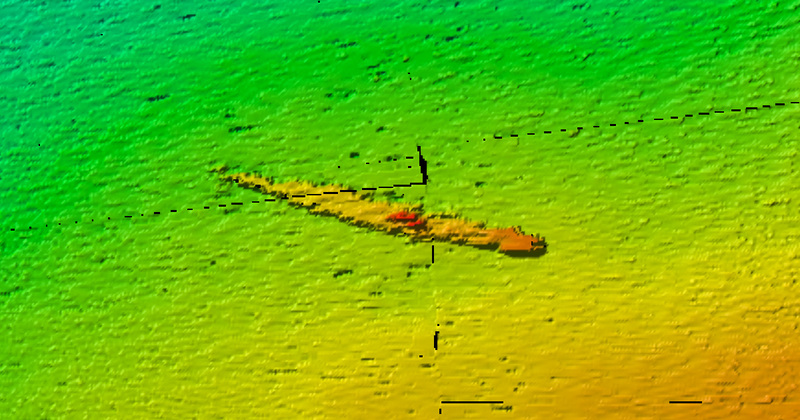 The towing crew had to scramble to cut away the tow lines to avoid being pulled under by the sinking submarine. 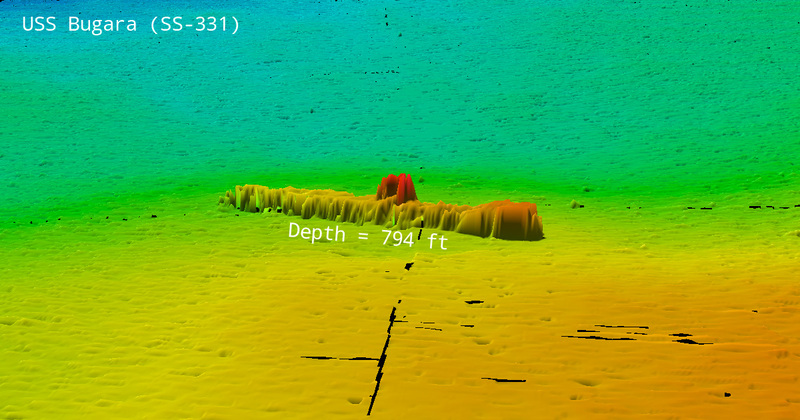 Bugara slipped beneath the waves and sank in 800 ft of water off Cape Flattery, Washington, just outside the Strait of Juan de Fuca. No one was aboard the submarine when it sank. 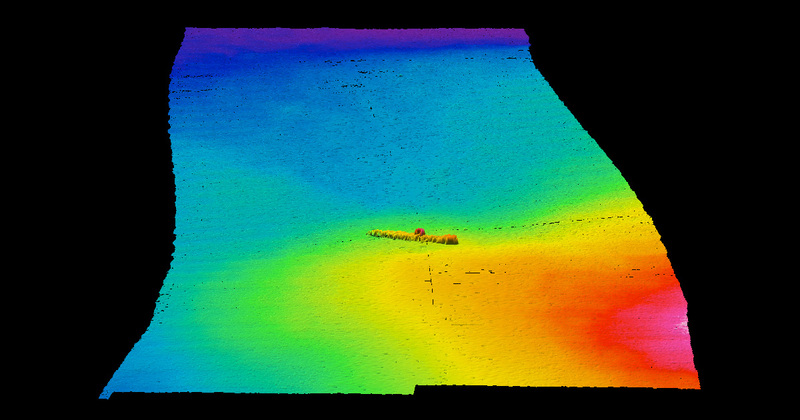 In September 2008 Ex-USS Bugara was surveyed by NOAA Ship Okeanos Explorer during her shakedown cruise to test her newly installed multibeam sonar system. Survey ID EX0801. 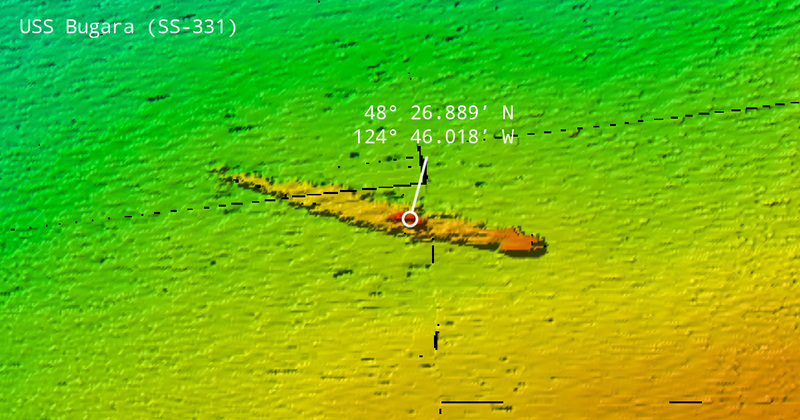 Visit http://www.bugara.net/ for more detailed history on USS Bugara.